Tacx T4050 9/10spd pulley wheels for Shimano 9 and 10spd derailleurs. 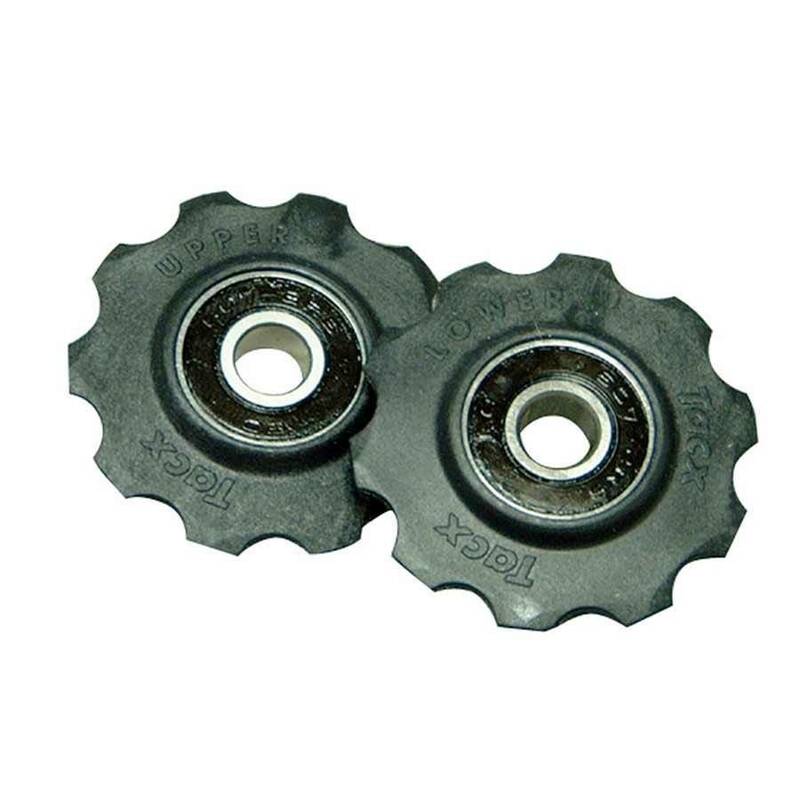 The closed ball-bearing circuit prevents the jockey wheels from jamming, play and irritating noises during cycling. Ideal gear shifting with the narrow wheel above and the wider wheel below.